I am so waiting for summer here in US . 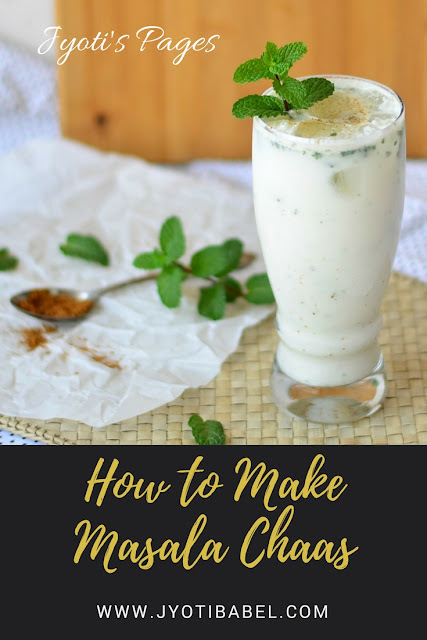 I love Masala Chaas and I drink it everyday with my lunch , not only it’s good for digestion, but it’s so filling . Your looks lovely and beautifully photographed! 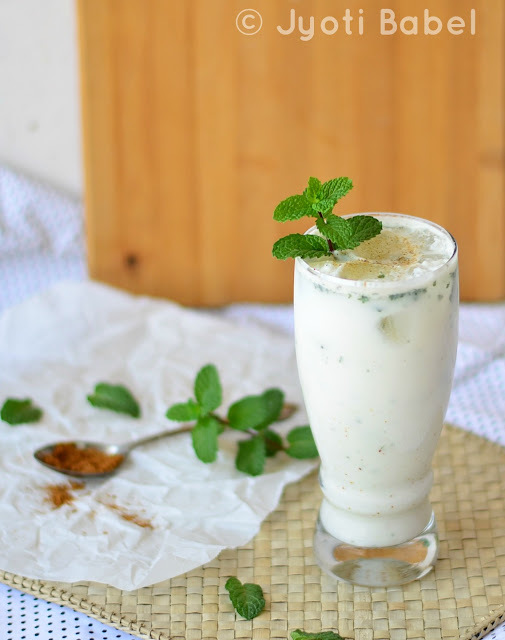 A healthy and delicious drink to beat the heat. Perfect for upcoming weather. Was just waiting for the summer to prepare chaas.. Love to have this daily after lunch.. Lovely shots!! Oh I miss Pune Jyoti! I love Masala taak in the summertime too. Extremely irresistible, and your clicks are seriously fabulous. One of the best drink for summer. My regular summer drink. I make this whole jug jug keep in the fridge in the morning it self. Love your pics. We too have started on taak early this year. Such beautifully presented Masala Chaas Jyoti. I am tempted to reach out into the monitor to pick that yummy glass up. Refreshing drink for summer. While people take so much pride in stocking their fridge with sugar loaded soft drinks, I'M opposite, I stock up lots of plain yogurt, You know why? :) Love masala chaas anytime, best drink after water. Being a Gujarati, chaas is a must in our house. This one looks inviting..Want one now. Perfect drink for this Summer season. Healthy and refreshing drink ! 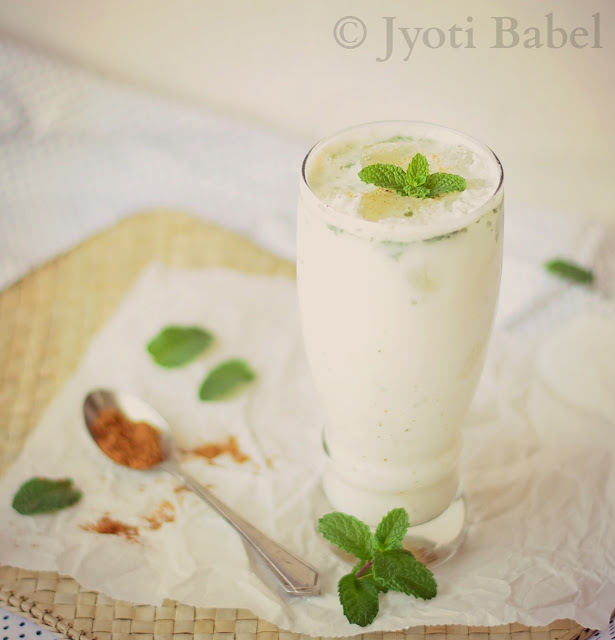 We are addicted to masala chaas and always have a tall glass of it with meal in summers. Beautiful pictures. i am a masala chhaas girl and can have it anytime no matter what.... yours looks so inviting and soothing.. 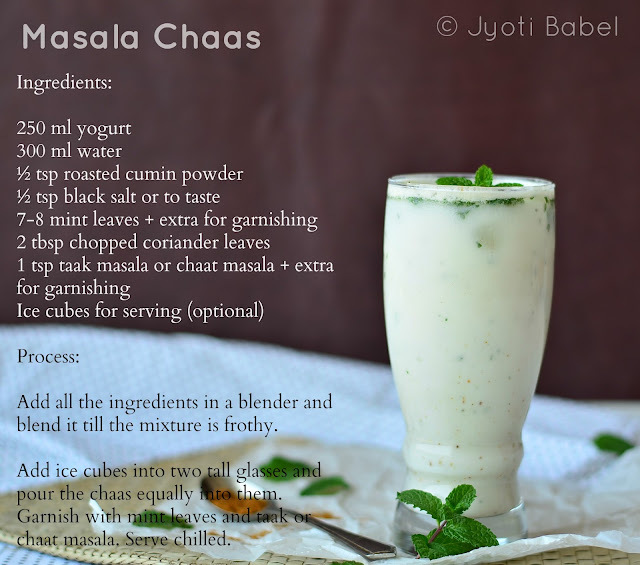 I love this chaas, ideal drink for summer. Beautiful clicks. In summer masala chaas or butter milk as I call it, is so popular or must have drink to beat the heat. One glass everyday, will make a lot of difference.